“Sleep is… a seizure of the primary sense-organ, rendering it unable to actualize its powers; arising of necessity… for the sake of its conservation.” – Aristotle, 350 B.C. Ahhh sleep, beautiful sleep. It’s the blissful state of inactivity that renews the body and mind. 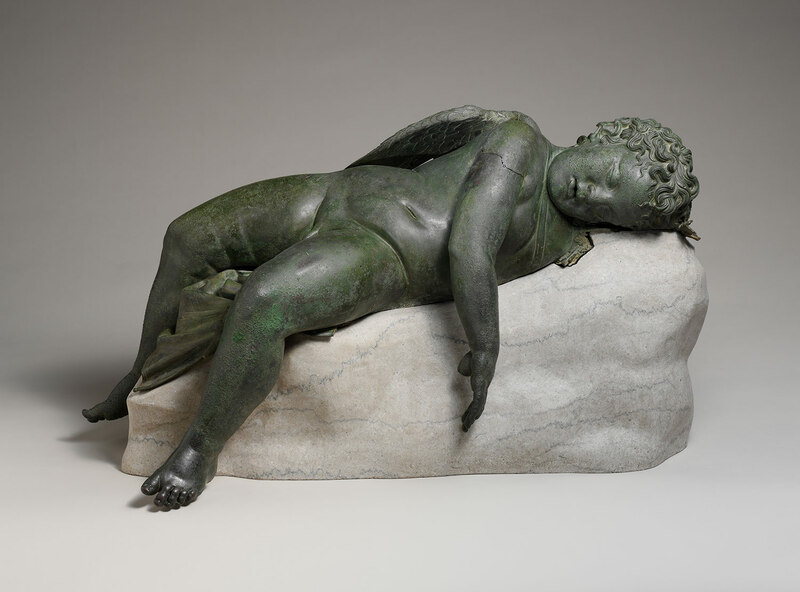 Greek philosopher Aristotle described the restorative value of suspending consciousness in slumber as far back as 350 BC. Today researchers have taken Aristoltle’s understanding of sleep being a physical state of renewal to a deeper level and tapped into mechanisms that may enhance your memory by improving the efficiency of your sleep. So how does sleep work? Sleep consists of natural cycles of brain activity that involve both non-rapid eye movement (NREM) and rapid eye movement (REM) periods. During NREM sleep, brain activity begins to oscillate in a low frequency (< 1 Hz) rhythm that is easily recognized on an electroencephalogram (EEG), a machine used to graphically represent brain waves, as slow-wave sleep. This slow-wave sleep activity represents networks of neuronal ensembles performing in unison with waves of active to inactive states. The orchestration of these neurons creates the particular form of slow-wave sleep brain activity and is theorized to play a critical role in memory performance. As a sophomore in college, I would study long hours into the night, fall asleep, and then wake up to a biology quiz first thing in the morning. During the quiz, quite often and much to my surprise, I would recall some minute detail from my notes that I surely did not have a firm grasp on the night before. Recent studies suggest my biology recollections, as well as the consolidation of every day memories, likely occur during slow-wave sleep. Consolidation is a process that converts fluid memories into more concrete representations that become part of the bigger system of existing long-term memories that are encoded by a neuronal network. The possibility of improving your brain’s ability to solidify and strengthen memories through slow-wave sleep has important implications for people with reduced slow-wave amplitudes, such as people that suffer from sleeping and psychiatric disorders. The phenomenon of slow-wave amplitude reductions also occurs naturally with aging and affects a large portion of the population. In previous studies, scientists have attempted to artificially enhance slow-wave sleep using rhythmic electrical, magnetic, or sound pulses. These studies have shown limited memory improvement, likely because they did not synchronize stimulations with the natural ebb and flow of activity in the brain. However, in a new study by Ngo et al., researchers identified innate brain activity and created a feedback loop used to strategically enhance slow-wave oscillations using sound stimulation to maximize memory benefits. Hong-Viet V. Ngo et al. (2013). 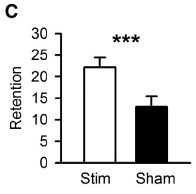 Auditory closed-loop stimulation of the sleep slow oscillation enhances memory. Neuron 78: 545–553. Click HERE to go to this article. Eleven subjects were hooked-up to EEGs and their brain activity during NREM sleep was monitored for two nights. On one of the nights, two auditory tones were played each time the computer reading the natural rhythm of the brain predicted an up-state of the slow-wave. On the other night of testing, subject brain activity was monitored but auditory tones were not played. Ngo and colleagues found that presenting the tones in-phase with the up-state of the waveform increased slow-wave activity by increasing the amplitude of the waveform itself but also by creating a “train” of slow waves, one wave right after the other. Knowing that the waveform is changed with auditory stimulation, researchers wanted to see if this “improved” waveform actually alters memory performance. Prior to sleep, subject performance on a declarative memory task was assessed. Declarative memory is one type of long-term memory that involves the conscious recall of memories, such as extracting biology facts from your brain during a quiz. The test began with subjects learning 120 associated pairs of words (e.g. brain, consciousness). After learning the word pairs, declarative memory was tested to see how many associations they remembered. Subjects were shown the first word of each pair one at a time and asked to recall as many matching second words as possible. Declarative memory was the tested again in the morning. Researchers found that subject exposure to auditory stimulation during sleep improved their memory retention almost 2 fold. 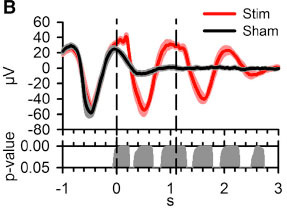 Interestingly, memory retention was also positively correlated with the percentage of slow-wave sleep experienced by a subject, suggesting that enhancing slow-wave oscillations is better for memory. Additionally, this memory-enhancing phenomenon also appears to be up-state stimulation specific. Researchers tested stimulation during the down-phase of the waveform and found that slow-wave trains did not form and subsequently memory did not improve. Summing it all up, what’s the best way to get the most out of your NREM slow-wave sleep and improve your memory? This study would suggest the trick is to monitor your brain rhythm during sleep and insert an auditory stimulus at the appropriate moment to see results. Let’s hope the entrepreneurs at Necomimi jump on this opportunity to figure out how to tweak their brain wave cat ears by adding a set of headphones for some blissful memory enhancing sleep. I know I’ll be placing my order as soon as they’re available.